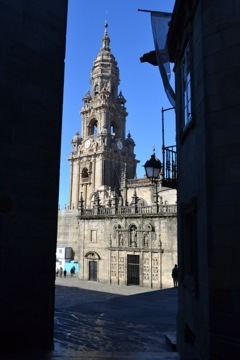 Today we started our second Camino experience but it all happened a bit by accident. 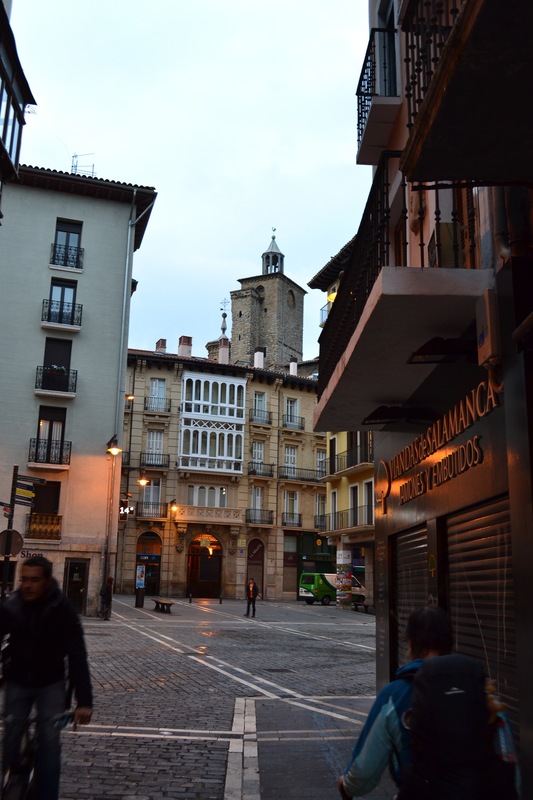 We had intended to park the car at Pamplona airport, take a bus to town and then catch another bus to our planned starting point – Larrasoana. Problem: there is no bus service, or any public transport apart from Taxis at Pamplona airport. So we decided to go the whole hog and take a taxi to Larrasoana. Now this is where the psychology comes in. 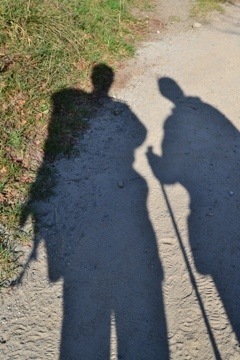 Neither of us expected to be walking any distance today but here we were walking a quite hilly section towards Pamplona. We missed one place where there were hostels and at the next they were closed for the season. 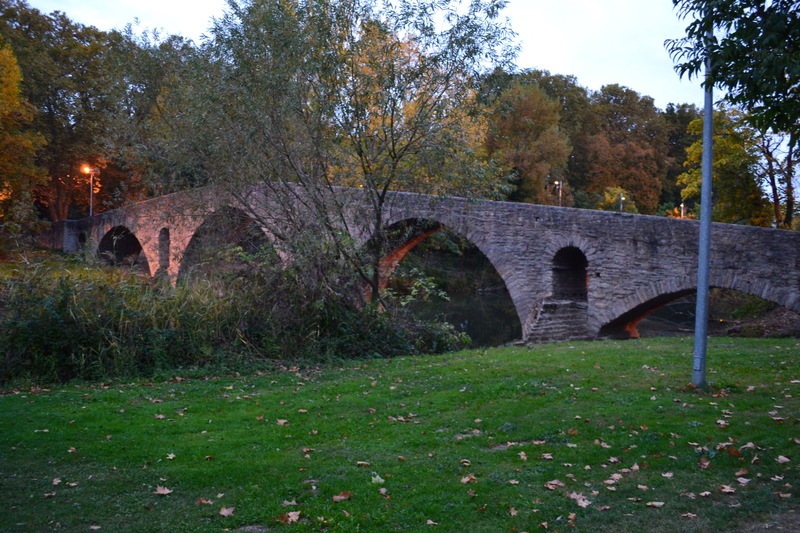 So by the end of the day we were on the outskirts of Pamplona at a hostel next to a church and a C13th bridge. All very rustic and normally the stuff we love but on this occasion we were both a bit narky. 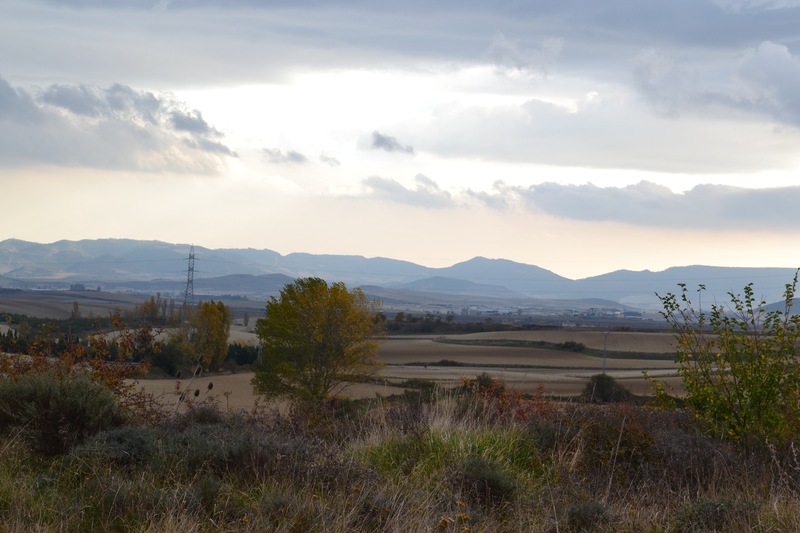 We had a good night’s sleep in the Trinidad Albergue in Villava on the northern outskirts of Pamplona. A French couple came along at one stage to share our room. Mrs French Couple must have smelled my boots and decided to walk a few more kilometres to the next alburgue. The caretaker was quaint and even came around at about 9:30 pm to say goodnight. He might even have wanted to tuck us in. 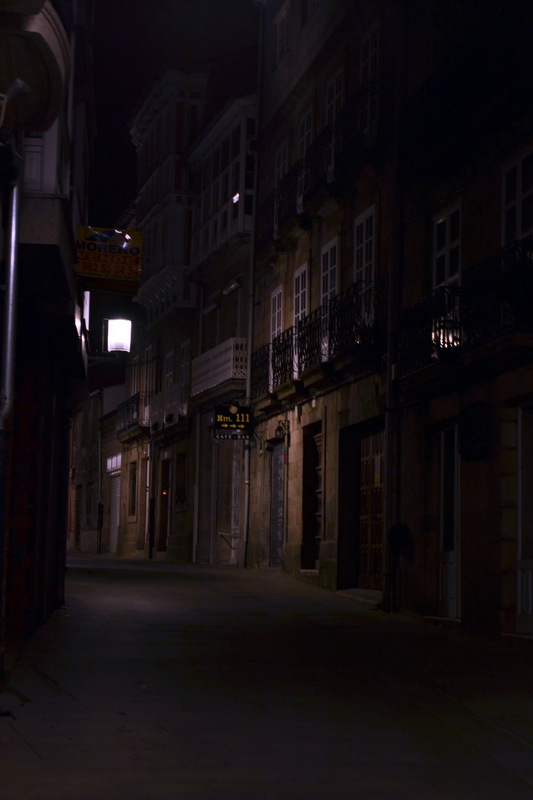 We left the alburgue at about 6:45 and headed through Pamplona as it was waking up. 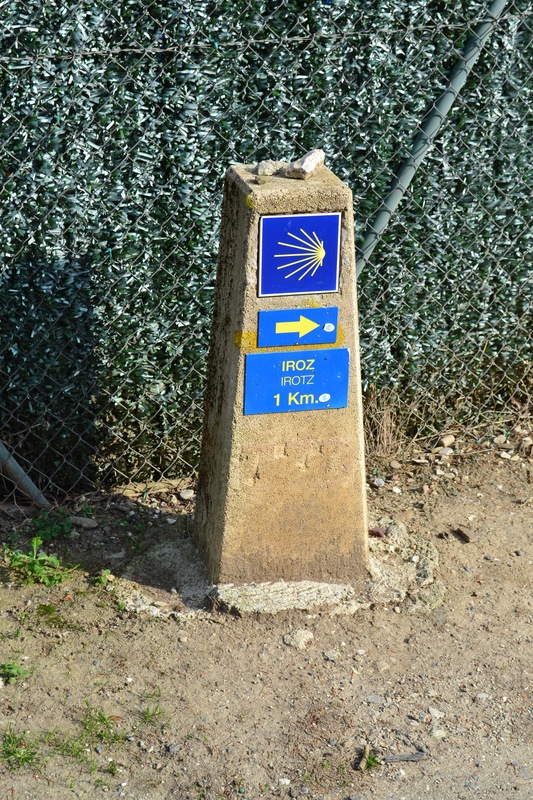 On the southern outskirts we started a long ascent towards Alto del Perdon – an image often associated with the Camino. When I get there I will take a photo. But we have stopped short at Zariquiegui only walking 16 or 17 kms today as the joints were telling us that they weren’t used to this. A taxi driver alerting us that we heading in the wrong direction at one point. That was appreciated. 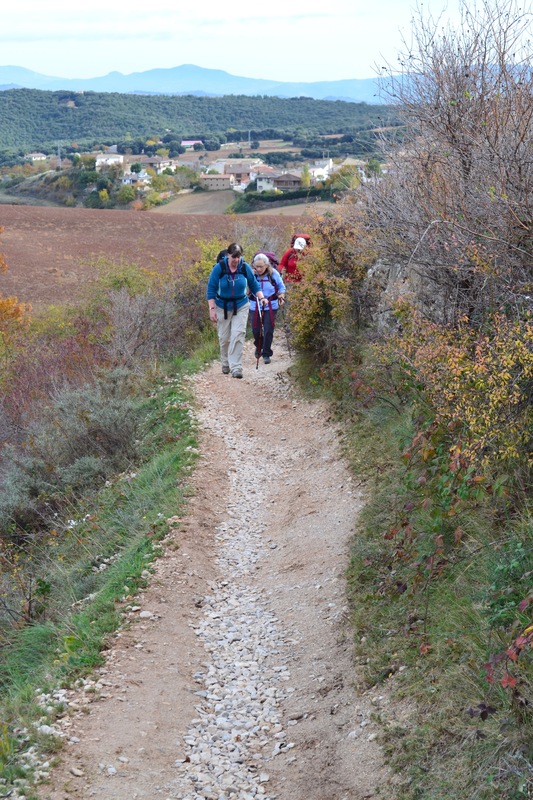 A number of people of all ages saying “Buen Camino” as we trudged along. A bread stick, ham and cheese tastes amazing when you have had a good walk. 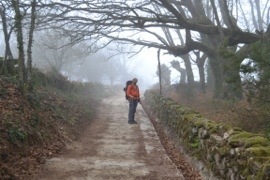 We encountered a couple begging their way around the Camino. I’m not sure what I think about that. You can pick an Aussie accent for miles! 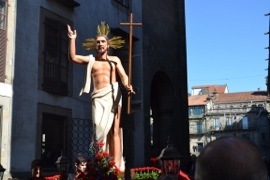 Today was Easter Sunday and we were in Santiago witnessing how the Catholic Church firing on all cylinders does it. Many words can describe it: spectacular, rich, all involving. The ritual was dramatic and beautifully presented. The robes were rich, the processional figures spectacular and the story well told. People of all ages were involved. The Bible story was told in detail. With my very limited knowledge of Spanish, it was obvious that the gospel was proclaimed. But something was missing. I’ll write more about that later. 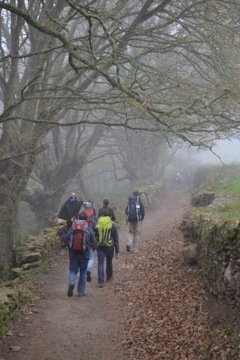 Then we started for the south via Portugal. 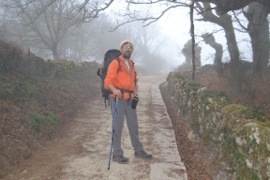 We camped north of Lisbon. 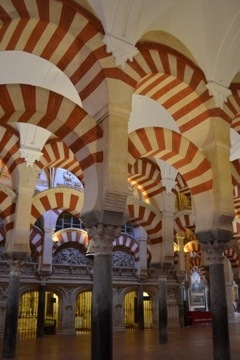 Today, Monday, we marched on south as we want to see the southern cities of Seville, Cordoba, Cadiz and Granada. We went via a town in Portugal called ” Elvas” with a most amazing viaduct. 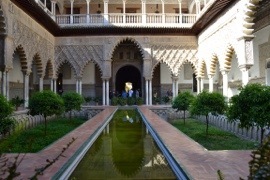 We have arrived in Seville after finding a camping ground. The gps worked well but the camping grounds didn’t exist with our first two tries. 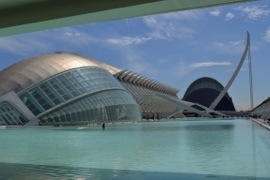 Tomorrow we will visit Seville. 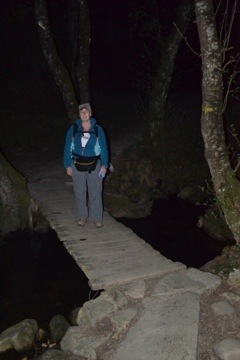 At 5:30am we gathered our things, crept downstairs and readied ourselves for another day’s tramping. 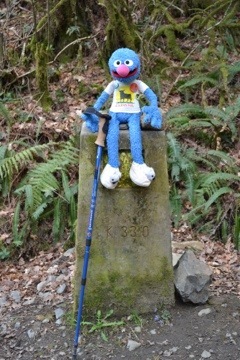 It was going to be a very easy, very short stint, or twice the distance. Our usual 20 something kilometers wasn’t going to work today because of a lack of albergues at that point. It seemed especially dark, and the path treacherous and unclear. But we were enjoying the solitude. 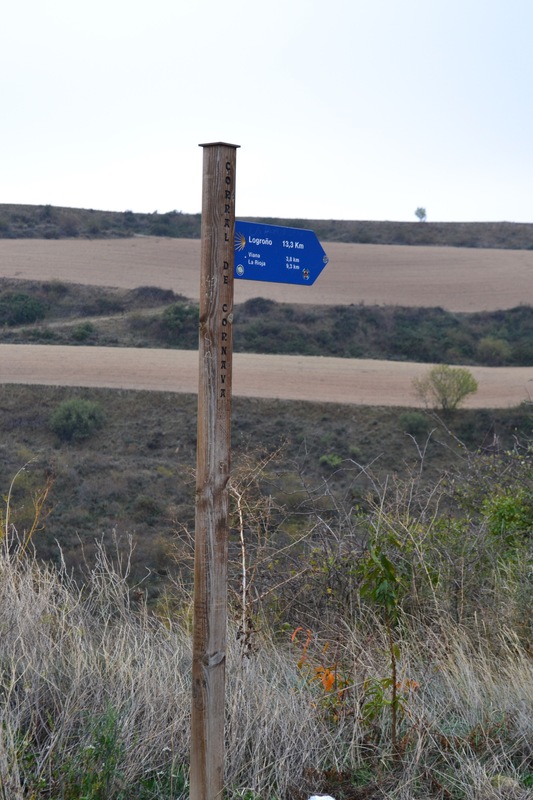 Until we reached a main road and there was no indication of the pilgrim route (yellow arrows and signs). We asked at a petrol station however the attendant just ignored us when we said we couldn’t understand Spanish. On and on he went, gabbling and pointing. We turned away none the wiser and decided to retrace our steps. A few hundred meters along we reached a fork in the road and there was the yellow arrow painted on a tree. Once again we were on the right track. 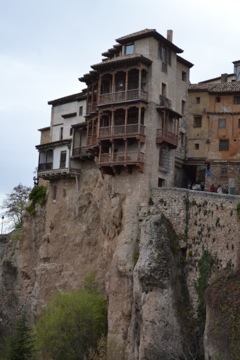 We arrived in Ribadiso at 9am and Arzua at 10am. We made the decision to keep going. Which meant another 15 kilometers and a total of 30kms for the day! Could we do it? At Al Calzada we stopped for lunch (leftovers from last night), and then we pushed on. 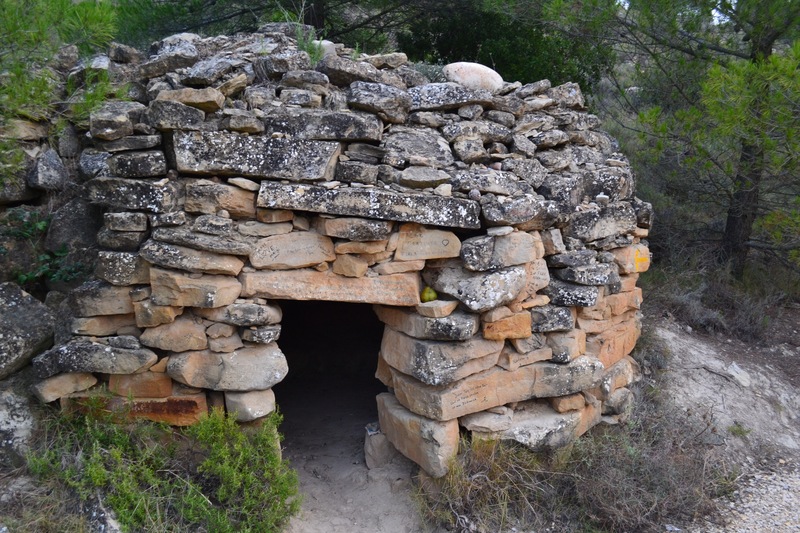 Knowing there were limited places in the albergues at Santa Irene spurred us on. Just before 3pm we got here. We have more aching bits than we thought possible! Last night we had to add 3kms to our days tally to find somewhere to eat. We wound up in a proper little restaurant and had a three course meal, ordered with help from a young woman from Minnesota. 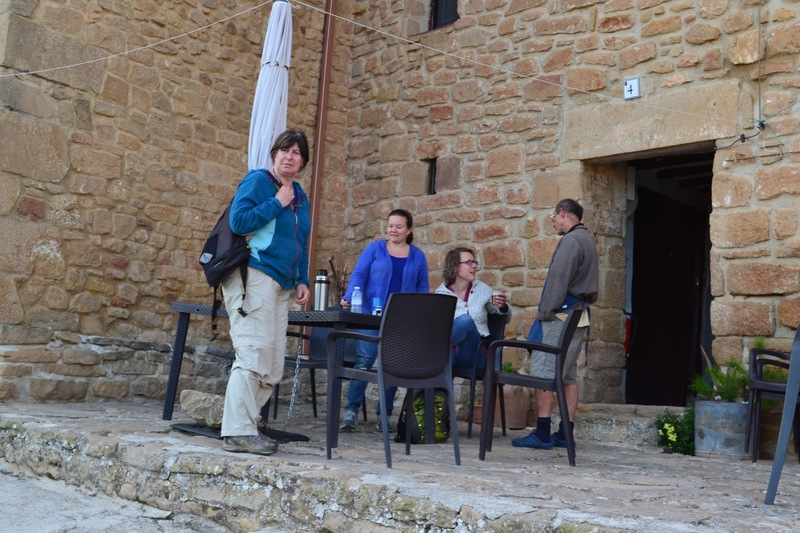 Then we hobbled back to the albergue. 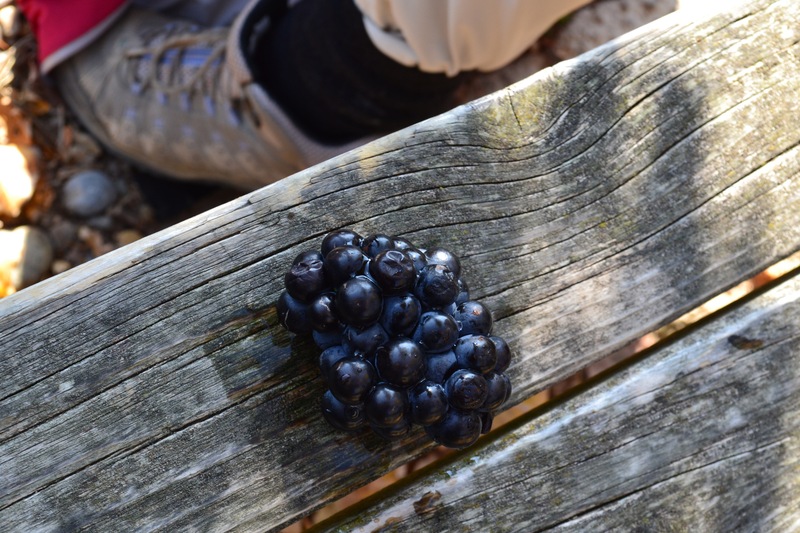 During yesterday both my knees started to ache terribly, especially on a downwards slope. Now things are working again here are some more thoughts and experiences. The day began late by recent standards – tumbled out of that double bed with its polar fleece sheets at 7:20 am. Left Portos soon after, which required a lot of self talk aimed at the aching joints, calf muscles, and blistered tootsies. Tramped through forests, beside main roads, along tracks warn down meters deep. 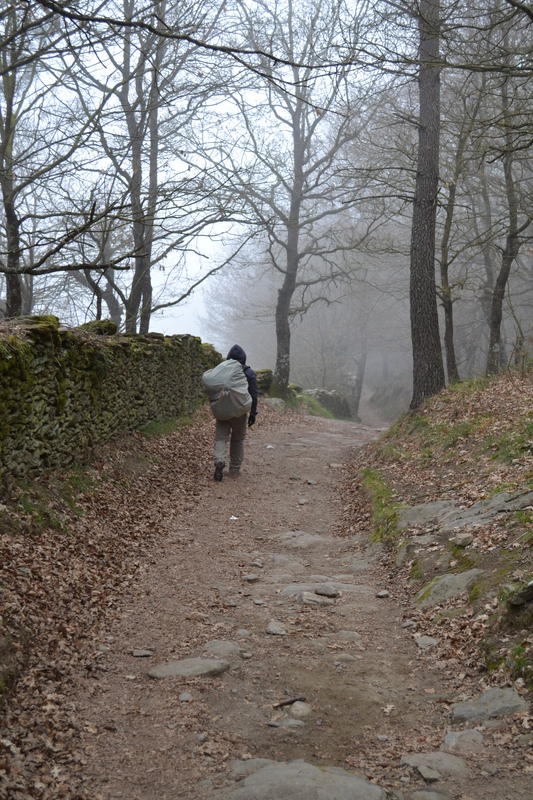 There seemed to be a lot of stone today – rocky paths and paved roads. It was very hard on my feet. Not surprisingly my blister count went up. I now have three toes with blisters surrounding the entire toe, even under the nail! Ouch! Mister Veane’s advice and my Chemist shop in-a-bag is coming in handy. 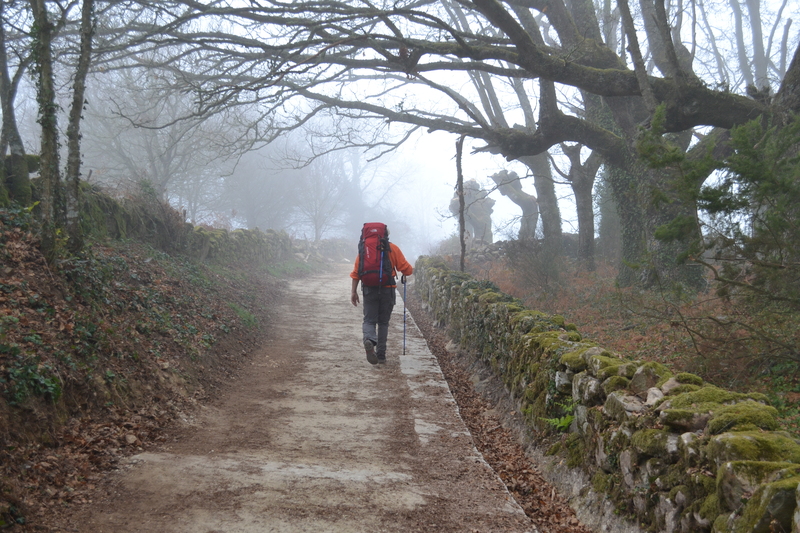 We passed through the town of Palas de Rei and took a wrong turn so we had to back track a bit. Then we did a bit of filming around the town San Xulian. Breakfast was a “muesly” bar, and some chocolate sustained us until we arrived weary and footsore in Melide. The Alburgue will be home for the night. Lunch was olives, Brie, bananas, grapes and yoghurt. And a chocolate croissant. There is a service at the nearby church tonight which we will check out. Buon Camino. We also went to Mass last night in preparation for Maundy Thursday. The church was packed. I was the only only one in shorts! On either side of the door, inscribed in the windows was “Word of God” in Latin. 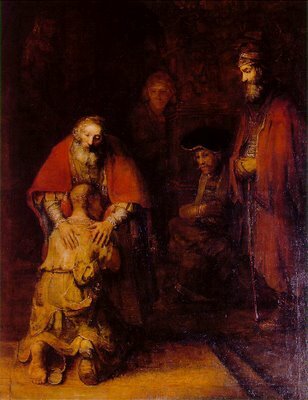 During the church service that evening I prayed for the people and the priests. “That this Word might be a living reality in Melide.” There had been a funeral, that afternoon and it impressed on me the need for a living relationship with God.